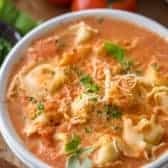 Tomato Tortellini Soup recipe only needs about 15 minutes to cook, making it a delicious, family friendly meal that saves both time and money! We love making homemade tomato soup on busy weeknights. 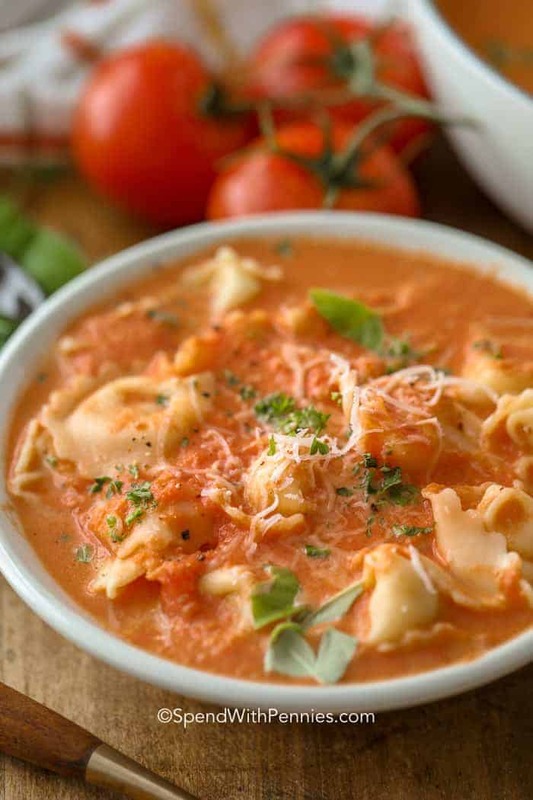 Just create the tomato soup, add the tortellini, and top it with cheese and basil. It’s that easy! Our weeknights are usually pretty busy so I’m always looking for meals that quick and easy. 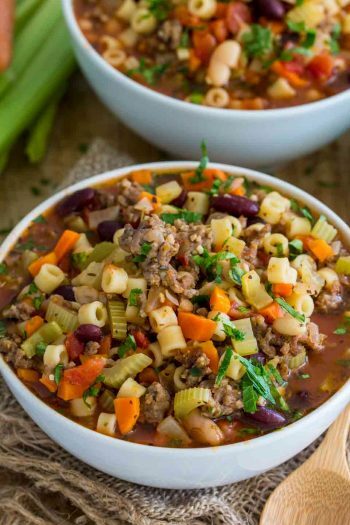 A comforting bowl of tortellini soup with a fresh salad is the perfect meal! I have partnered with Progresso™ to bring you this easy belly warming recipe. 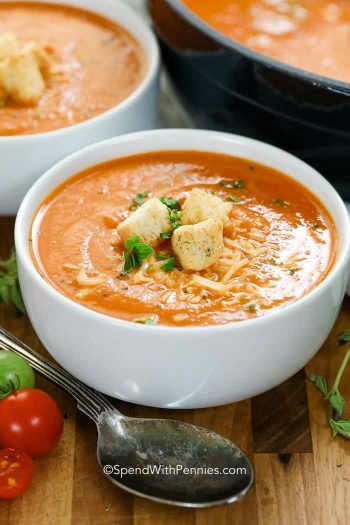 Tomato soup is my daughter’s absolute favorite meal and I mean, what’s not to love? It’s delicious and the perfect lunch or dinner… and ready in just minutes! 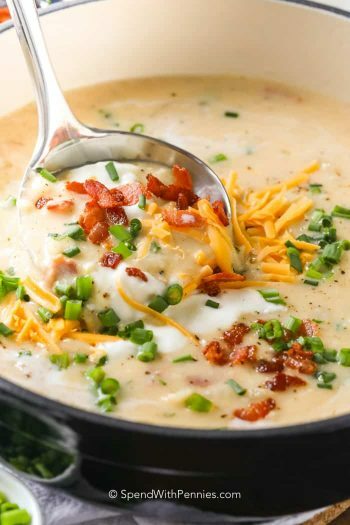 We love adding things like fresh croutons, a dash of cream, bacon, or of course, tortellini! It’s great served with grilled cheese roll ups or a fresh caesar salad. Tortellini soup is super versatile add in your favorite proteins, to create a sausage tortellini soup or chicken tortellini soup! Stir in handful of spinach before serving. Feel free to add whatever you have on hand – from peppers, to macaroni noodles, mushrooms, or onions! Greek Tortellini Salad – potluck favorite! Crispy Buffalo Fried Tortellini – a delicious appetizer! 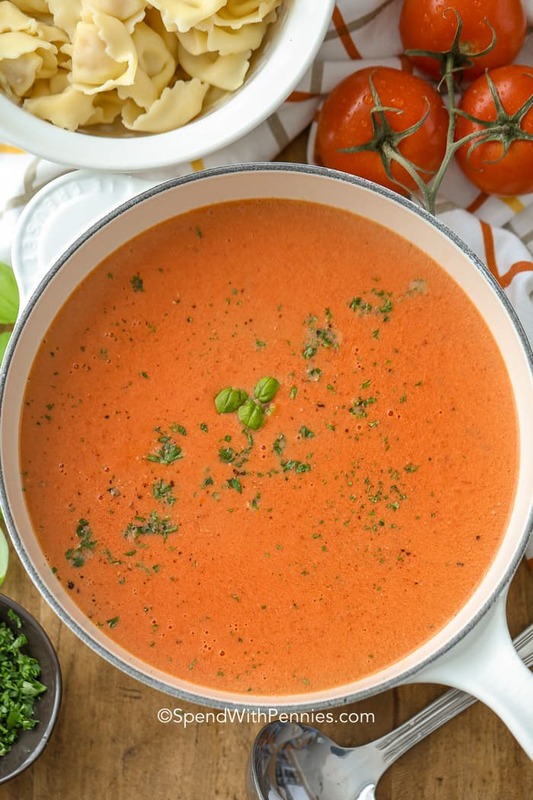 Combine all of the tomato soup ingredients in a saucepan. Bring it to a boil, reduce heat, and simmer for 8 minutes. Blend the soup mixture using a hand blender. Stir in the cream, and simmer for another 5 minutes adding tortellini in the last minute. The tortellini in this soup can get soggy if you have leftovers so we leave it on the side and always combine just before serving. If you’d like to freeze this soup, add the cream once heated and defrosted (and freeze the tortellini separately). Serve this easy recipe with 30 Minute Dinner Rolls or crusty bread for dipping and a big fresh Easy Italian Salad. 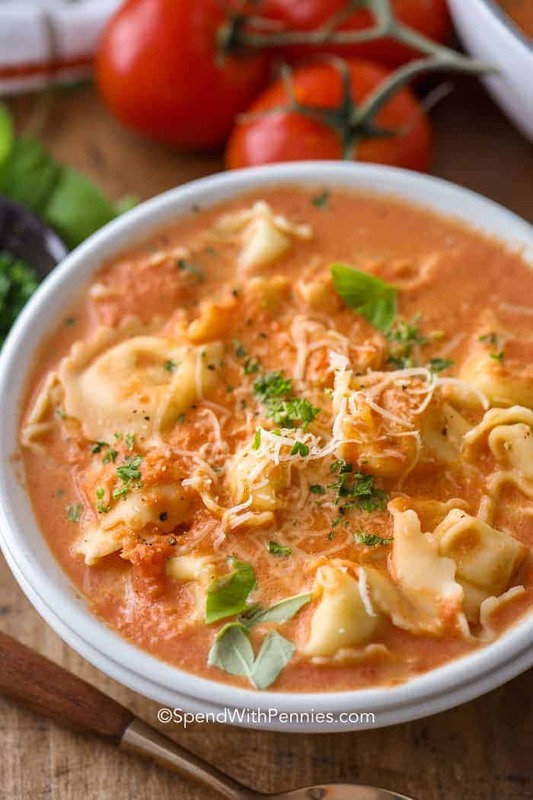 This Tomato Tortellini Soup takes just 15 minutes making it the perfect weeknight meal! 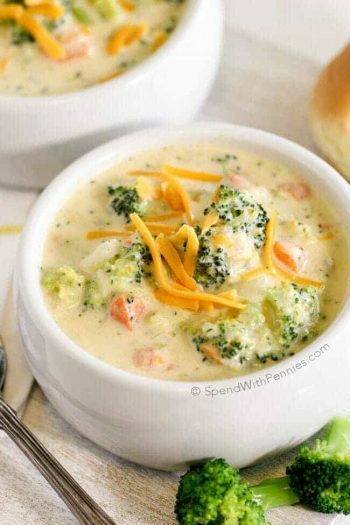 Quick, easy and totally cheesy, my whole family loves this soup! 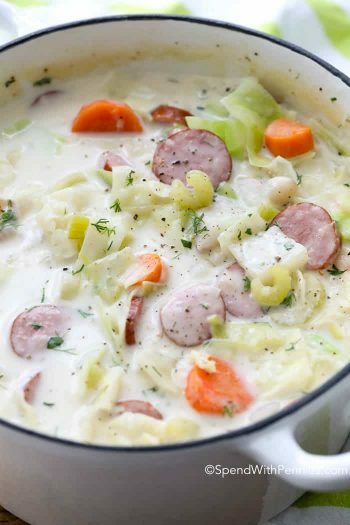 Combine all soup ingredients in a saucepan except cream. Bring to a boil, reduce heat and simmer 8 minutes. Meanwhile, cook tortellini according to package directions. Add chopped spinach to the boiling water 30 seconds before the tortellini is finished. Drain well. Blend soup mixture with a hand blender. Add in heavy cream and simmer an additional 5 minutes. Stir in tortellini and spinach if using. Place in serving bowls and top with fresh basil and parmesan cheese if desired. Can I substitute crushed tomatoes for the diced tomatoes? I don’t have a hand mixer to blend the soup mixture. I have only made this as written, but I believe this will be a fine substitution. Thank you :) Enjoy the soup Sally! Can’t wait to try this. My very first on line recipe. Will let you know. Thanks. Enjoy Jan! Happy to be your first online recipe! Affordable, quick, and tasty! 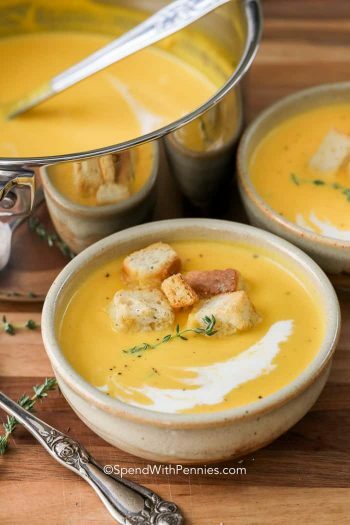 The best possible combination for this awesome soup recipe! I am pinning this recipe. This is great. It combines 2 of my kids favorite things, tomato soup and tortellini, so I know it’s something they will actually eat. And it’s quick enough for those busy activity nights. Coming up with new things to make on those super busy nights is hard. Thank you for Pinning it Amy! Thank you Sherri, this is definitely easy… and delicious! Easy weeknight meals are always a win. Nice and easy and sounds so good. Thank you. Love it when kids request something again! That means it’s a for-sure menu item! Especially when it’s ready in 15 minutes! Thank you Averie! I agree, anything that my kids want that’s quick and easy is a win-win around here!